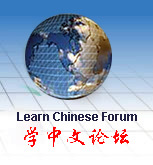 Kuaile Hanyu series is called Happy Chinese because the goal is for the learner to find learning Chinese as happy and easy, instead of boring and difficult. Kuaile Hanyu is designed to be interesting for senior elementary and middle school students. Each type of student requires a different teaching style, which is why its exciting that Kuaile Hanyu was specifically made in a format that works with the emotional and psychological development at this age. The program includes three levels. Each student’s book has 24 lessons grouped into eight units. All the books list below are mandarin Chinese with simplified character.